Over the years, as the early revolutionary fervor gave way for most people to a yearning for a more normal existence, the society changed slowly, at times almost imperceptibly. Those changes have been enormous, and Iran today is closer than most outsiders generally appreciate to being that “normal” country Iranians want. In February 1979, Tehran was in chaos. A cancer-stricken Mohammad Reza Pahlavi, the Western-backed autocrat, had gone into exile in mid-January, leaving behind a rickety regency council. On Feb. 1, Grand Ayatollah Ruhollah Khomeini, the godfather of the revolution, returned from exile in Paris. And in the Iranian version of “Ten Days That Shook the World,” street demonstrations raged until the government collapsed on Feb. 11. What materialized after those first bloody years was truly revolutionary: an Islamic republic, a theocracy built on ideological choices inspired to a great extent by Khomeini. New rules were put in effect to forbid anything that might lead people astray and prevent them from ascending to a heavenly afterlife: strict controls on the media, which isolated Iranians from Western influences; an absolute segregation of the sexes in public places; compulsory headscarves for women; bans on alcohol and musical instruments on television; rules forbidding women to ride bicycles. It went on and on, zealously and sometimes brutally enforced by the morality police and the paramilitary Basij forces. It took time for the cumulative changes to reach a critical mass. When I first visited Iran as a young reporter, the 20th anniversary of the revolution had just passed and the country was still living up to its revolutionary image. High-rises were decorated with anti-American murals or portraits of the martyrs of the 1980-88 war with Iraq. But now, they are everywhere. It is not all that unusual to spot a woman with pink hair flowing under her headscarf. Women now race through traffic riding bicycles, once seen as improper. They can even be seen riding motorcycles. While state television still refuses to show musical instruments, there are buskers on the streets of Tehran. One day I was watching a couple of young men, one on drums and the other on guitar, when suddenly a tall young woman appeared with a bass guitar and joined in. At times the state would fight back, making a few arrests in fitful efforts to roll back the changes, but never for long. At times, it seemed as if they had simply given up. One day police raided our apartment building and destroyed the multitude of satellite dishes on the roof. The only one left was mine — as a journalist, I had special permission to have one. That evening about 20 female neighbors joined me in my living room to watch their favorite Turkish soap opera. By the next day, they all had new dishes. Police have largely given up that fight, too. There are just too many dishes around. 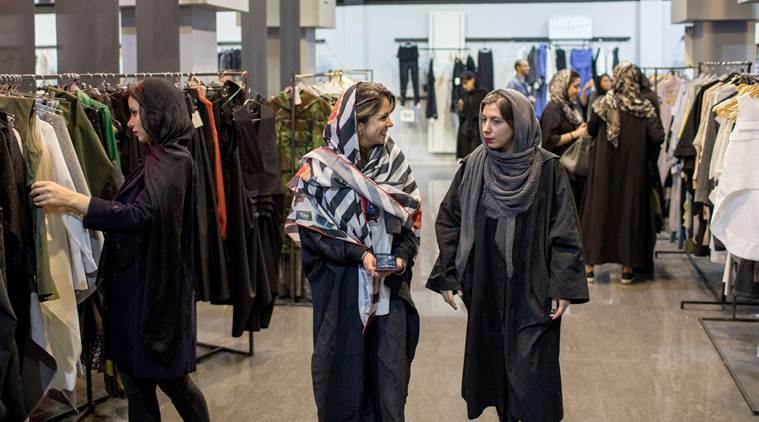 Iranians can now watch over 200 Persian-language channels operating from abroad, showing everything from “Keeping Up With the Kardashians” to unfiltered news and Hollywood movies.